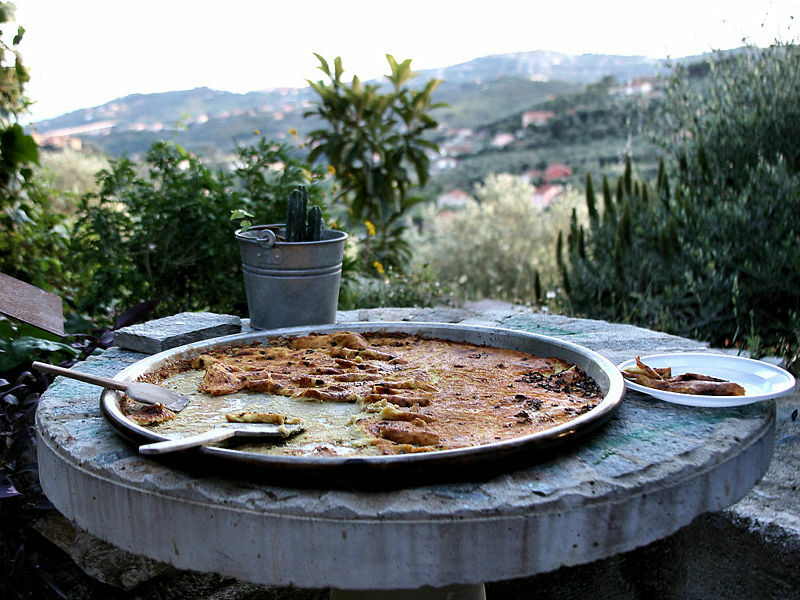 This is Gibraltarian baked bread-like dish, similar to the Italian farinata. It is made with chickpea flour, water, olive oil, salt and pepper. Left: Gibraltarian Calentita is very similar to the Italian Farinata. The word calentita comes from the Spanish word caliente, meaning hot or warm. It was probably first given this name during the early 1900s when street vendors would shout out "Calentita! ", informing people that it was fresh out of the oven. Calentita is considered to be Gibraltar's national dish.